I have a nail polish problem. It didn’t seem that bad until I started digging the polishes out from random places within my closet (like in a container of first aid stuff….I guess that could be needed in an emergency?!). And it was when I had them all lined up on the floor that I realized I’m addicted to nail polish. 58 bottles. Does that mean I should scratch my list of the six colors for spring. Ekkkk…. However, despite the plethora of colors to choose from, my favorite of them all is my OPI Start to Finish nail polish. A must have for any manicured or unmanicured nails. 1. Um…start to finish? Who needs/wants to dig around through their stash of bottles looking for the base coat and then a top coat. With this, you pull out one bottle, and it is out. No more smudging those pretty polished tips searching. 2. Two-in-one is pretty great, but this magic bottle is also a nail strengthener. One less thing you need to worry about. This is a must for any nail polish collection…especially for my brides who are sporting their stunning sparkles. Happy Friday everyone! Hope you have a fab weekend. 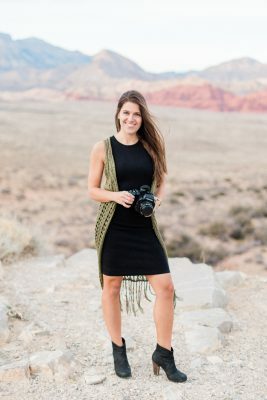 I think Friday Fancie :: Start to Finish | Brittany Bekas Photography Blog is a great blog post and you do a well written job of posting in depth.